Many people might assume that black would be a terrible colour to use in the home, imagining perhaps depressing Gothic dens or dark, dreary dungeons. 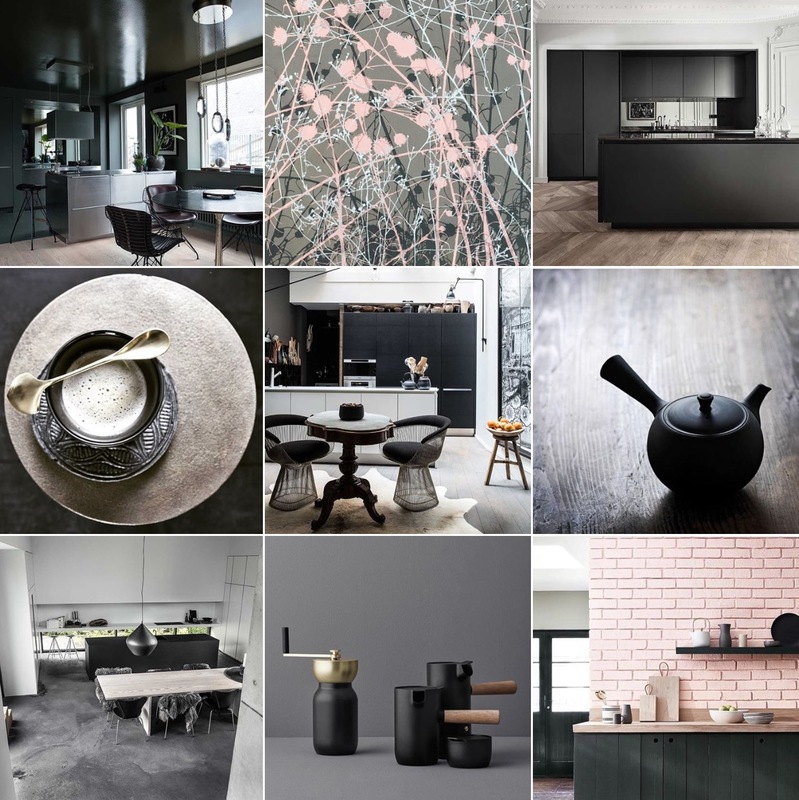 On the contrary, black can be one of the most uplifting and smart colours to have in your home decoration repertoire. Black is a much misunderstood colour when it comes to the home; wrongly assumed to be cold, gloomy and depressing. But despite being the darkest hue in the spectrum, it can often add what I see as a dramatic form of lightness to an interior design. It’s because it so precisely defines any area that it’s applied to, and by default, thus draws attention to any areas of contrast around it. For example, when worked on walls and paired with a pale floor, it immediately makes the floor plane feel much larger, and thus a room more spacious. Even in reverse — a dark floor with lighter walls — black so clearly delineates the size of the floor it makes walls appear further away and so the same effect is achieved, a room that feels larger. Which is generally the result most of us wish to achieve. Black allows you to read whole walls and surfaces at a glance. It frames and focuses; it leads the eye. It does not blur boundaries or diffuse edges, it is definite, clear and precise. And when used with glossy finishes, it also reflects light back at you with all the enthusiasm of a mirror. So contrary to expectations, black can add light to a space, rather than take it away. (Usually the second major quest of interior design.) The only caveat being that light to reflect must be there in the first place, no subterranean basement is going to be magically transformed into a sunlight-infused wonder. And of course, black, just like white, comes in a thousand shades, each with their very own distinct personality. I like greeny black and brown blacks for adding warmth (also superb mixed with metallics, silver and stainless with the former, brass with the latter) and inky blue blacks for depth (can be mixed with anything). The added tone is usually subtle, but it has the ability to lift the shade into something you can’t quite put your finger on, lending it an added air of sophistication which feels entirely appropriate. And just like the proverbial little black dress, black-lacquered furniture can be incredibly simple, and yet look remarkably chic, and it’ll go with anything! Where you might think it’d run the risk of sticking out and being too harsh, I urge you to try it. It won’t. 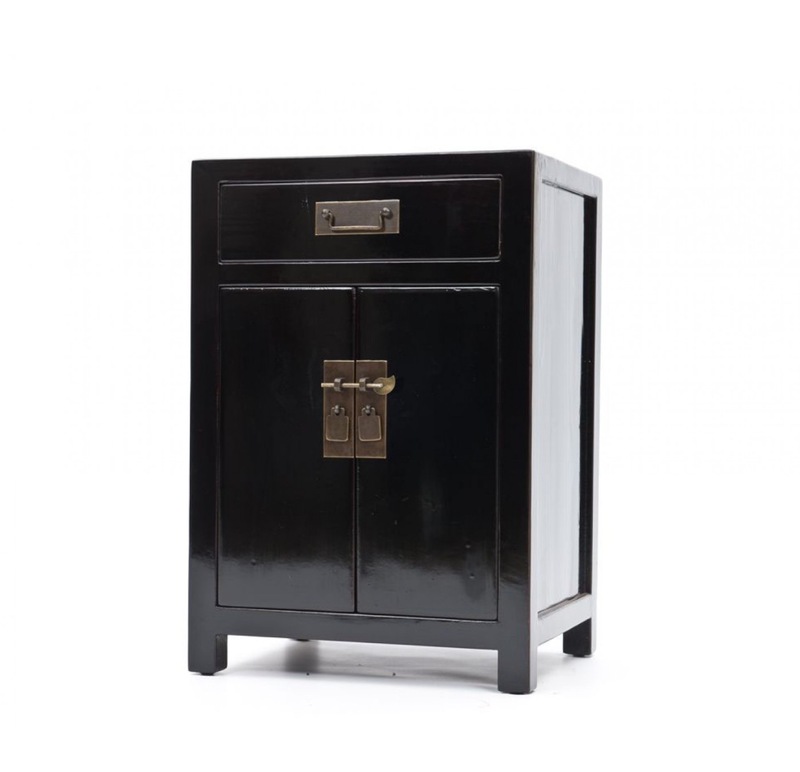 Again, I have a bedroom rendered from ceilings, walls to linens in shades of the sea, gloss white, pale pinks and lavender greys, but the only bedside tables I felt worked with this palette were a pair of lacquered Oriental-style cabinets from Orchid (see below). They are the sort of classic piece I shall probably keep forever as they’ll never date, and will always find their place. In conclusion then, black, for most, is probably not a colour you’d start a scheme with, rather one to consider all along but to only implement towards the end. Where is the zone you either want to frame, or have something to frame, so it could act as the perfect backdrop? Where would you like to add a little more ooomph? Where could it be surprising? And then revel in the finish possibilities for this rich, velvety hue, because it’s a maverick colour that can be almost everything, from sparkly and seductive to sedate, warm and welcoming to just wonderful. Trendbulletin: Plywood, substrate to style symbol?